Producing a voice over for your project isn’t an easy thing. It needs certain amount of time, money, planning, management and a proper direction for achieving high-end results. Without considering these factors, you may experience deviations and unexpected voice-over end-results. As a matter of fact, you will end-up with frustration and wasted time and money. So, it’s better to follow proper guidelines before starting your voice-over project. Starting a voice-over project without proper planning may prove to be a threat and may harm in propelling your voice-over project. A good project brief will help you eliminate miscommunication between your project and the people hired for it. Additionally, it will cut down time and let the voice-over artist fully understand the purpose of voice-over recordings regarding your business. A good creative project brief will not only help in keeping your message to the point but also enhance the overall performance of the voice-over team and let them have a clear idea of what has to be done and how it is to be done. Before handing over the voice-over project, you should make sure that your voice-over script is ready and contain all the essential elements so that the voice actor doesn’t get confuse and can easily pick up any complex pronunciation inside the script. For testing purposes, you can even hand your voice-over script to a person who has nothing to do with your project and ask to read it. Doing this will help you point out the errors and find where they are getting stuck. You may also follow below guidelines to empower your script and reduce the risk of unexpected failure of your voice-over project. Do not forget to revise your voice-over script. Having a good project brief and voice-over script ready, the next thing is to find out the best voice-over service which can make your project stand out of the mob and help your business easily reach the target audience, thus helping you in creating a strong customer base in the targeted area. There are number of experienced and trusted voice-over service providers in the market you can easily opt for. But don’t make quick decisions. Discuss with them thoroughly about your project and let them know your budget and the delivery time. This is the most important factor you have to take care of when you are planning for your voice-over project. Set your time & budget earlier and choose the appropriate voice-over service accordingly. Neglecting this will adversely affect your overall budget and may end-up in an exceeded project delivery time. 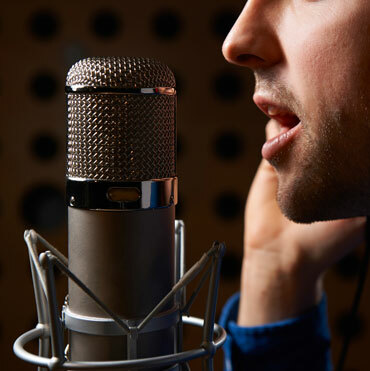 For tuning up the performance of voice-over artist, provide them with essential tools and guidelines. This will result in saving your valuable time and money.